I have a distinct memory from early teenagerhood of being in a toy shop and having a choice between the original Masters of the Universe Battle Cat and something superhero-y which has long passed my memory. 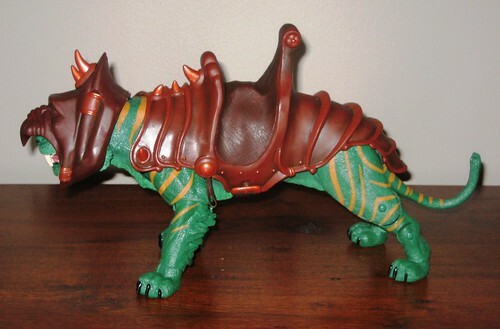 I never had a huge MOTUC collection, and superheroes always would have won out, but I have often looked back and regretted not grabbing poor old Cringer's more amazing alter ego, not that I managed to hold on to any of my now-vintage MOTUC toys. All up, however, it made an enough of an impression that when the chance to own Battle Cat again came around, I was very keen to have it, and in fact did the very silly middle aged collector thing (detailed here) to procure it. Once I'd sailed my bizarre journey on the Digital River, I then had a postage and shipping drama to endure, which I won't bore you with. The happy end to the tale is that a pair of Battle Cats - one for me, one for a friend, arrived safely in the end. Good thing too - this is an extremely fun creature! On one level this fella doesn't look that different from the vintage toy that I held in my hand as a young(ish) tacker, at least my memory of it, but the thought that's been put into the redesign of this piece is amazing. As an owner of many cats over the years, it really struck me how much the articulation of this modern Battle Cat makes his movement like an actual cat. He's so articulated that it took some time to find poses that work and keep He-Man balanced. Plenty of options here for different poses and display choices. 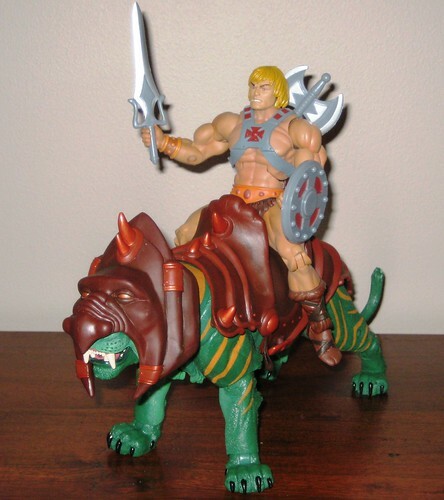 The harness and saddle are very nicely detailed, although He-Man doesn't really sit on it much better than what I remember of the original (I did get to play with my friend's Battle Cat, even though I never scored my own). The only niggle is that either his neck is a bit loose, or his headdress is a bit too heavy for his head, because his head droops slightly. Not enough to take any of the shine off of such a fun piece! Now that I have Battle Cat, it's definitely time that my Masters of the Universe figures get their own shelf in my display, instead of hanging out on top of the shelves. Would've loved to have grabbed some of those surprisingly elusive display stands to add to the display, but I missed out on those. Better that than having missed out on Battle Cat! 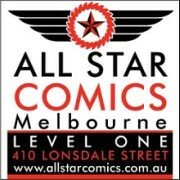 I don't think I have the energy to deal with the tension of many more Mattycollector sales, so I personally would be happy to sign up for an all-in subscription that includes the quarterly figures as well. I'd rather have the problem of selling off ones I mightn't want than having to get up in the middle of the night and scramble for the ones I do. Let's hope Mattel makes that happen for the 2011 sub! You can see more pics at Facebook, discuss this at the AFB Forum, and comment on this post to enter the AFB March Comment of the Month Contest. ** Become an AFB Fan on Facebook for a special second chance to win this month only! That Battlecat is really nice. I missed out in Feb, so I'm going to wait until they reissue him in the fall. as much as I may bemoan that loose neck of his, BC is the most impressive MOTUC I own. Outside of some very minor nitpicks, he's a near perfect toy cat. Congrats on the purchase, it definitely looks better than the original vintage one. WOW this battlecat really rocks... i’m amazed. Not only the level of articulation, but the colour scheme is fabulous. I’ve never seen a figure of MOTU that crush my senses like BC did... uhmmm only the thundertank of LEGO could defeat this great adversary in the conquer of my senses... anyway i feel a lil’ envious for u to hav this attractive collection piece ! Thanks for this article on Battle Cat.